I want to experiment with blogging again. In the past I have left the blog for the greener looking pastures of social media or even to try more commercially driven websites. But recentlt I have noticed that I still read a few blogs and occasionally wish that I still had my own. For me, blogging has been about many things over the years. Mostly about my interests which have included technology, fitness, outdoor adventure, photography, writing, and most recently art. So with that introduction here is a blog post about, well, all of the interests stated above. I paint digitally. Currently, I paint or sketch on my Samsung Note 8 using the awesome Artrage app (technology and art interests... check). 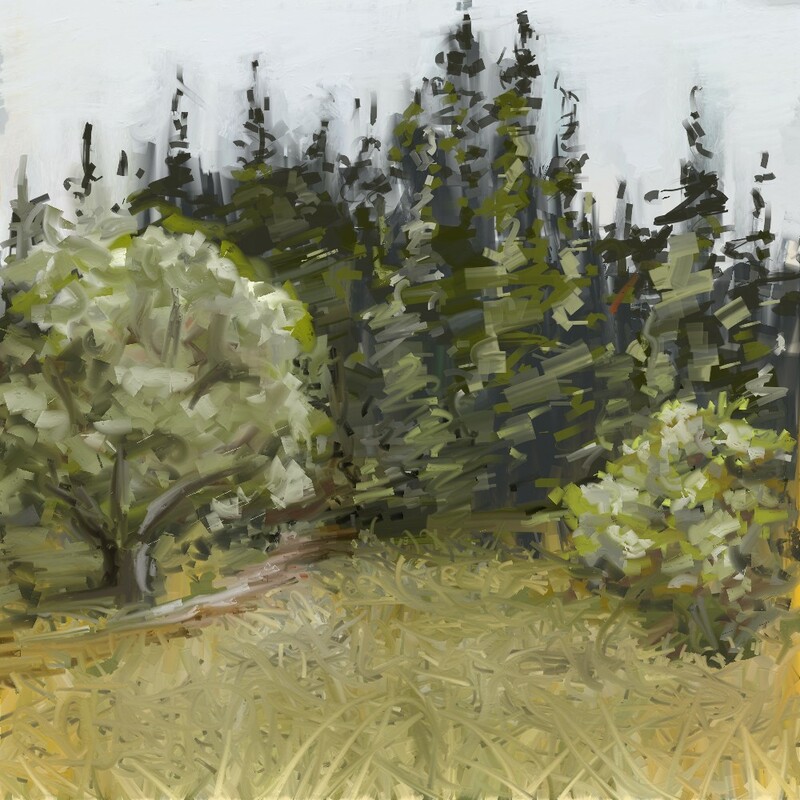 Sometimes I paint on my phone while outdoors.... after a long hike. (outdoor adventure and fitness interests... check). The above painting was sketched while I sat on a rock after a steep hike to Horsetail Falls. This exact place is called Horsetail Falls Trailcamp. I have visited the place several times and love the beauty of the meadow that appears after exiting some thick pines trees. I didn't finish this painting onsite because it started to rain but I did sketch enough and took a reference photo so I could finish at home while remembering the hike and the moment. It truly is one of my favorite ways to enjoy the outdoors and my art hobby. 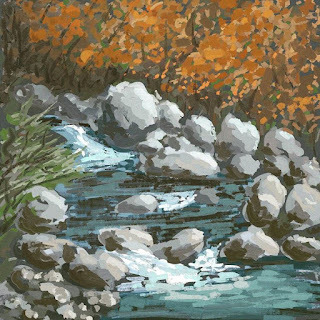 Painting on a phone is a nifty way of doing "plein air" painting with out the need to lug around more traditional art supplies.